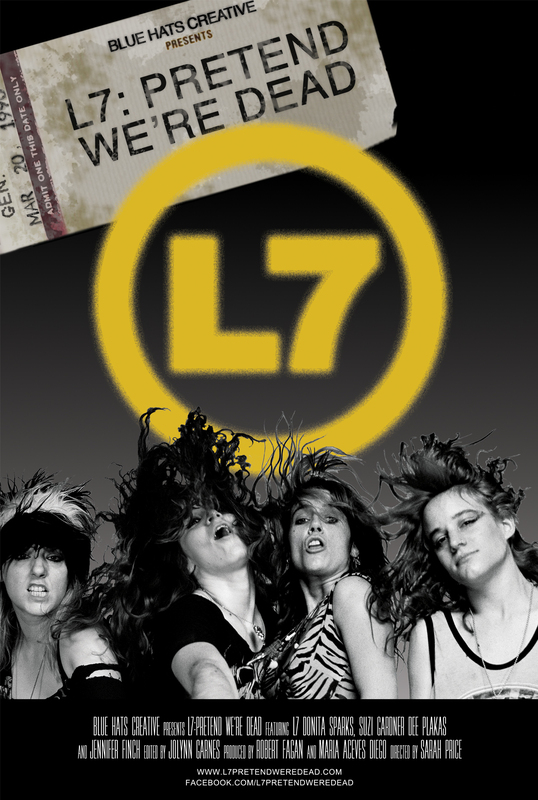 The film “L7:Pretend We’re Dead” is a documentary that chronicles the highs and lows of L7’s career from 1985 – 2001. The film mostly consists of first hand footage shot by the band themselves in the 1990s on their camcorder. You can watch it NOW at Hulu and I-Tunes!